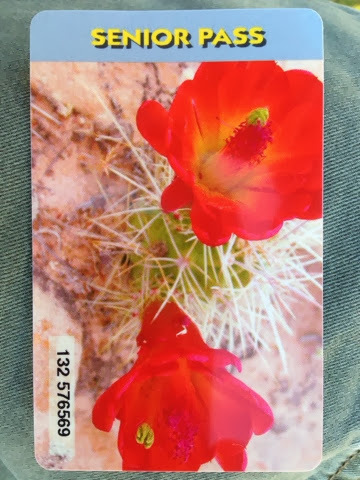 I went today and got a senior pass to the National Parks while visiting the Everglades. While there I met a couple that are camping in the national park. I asked about cost and they said it was half price with the senior card. 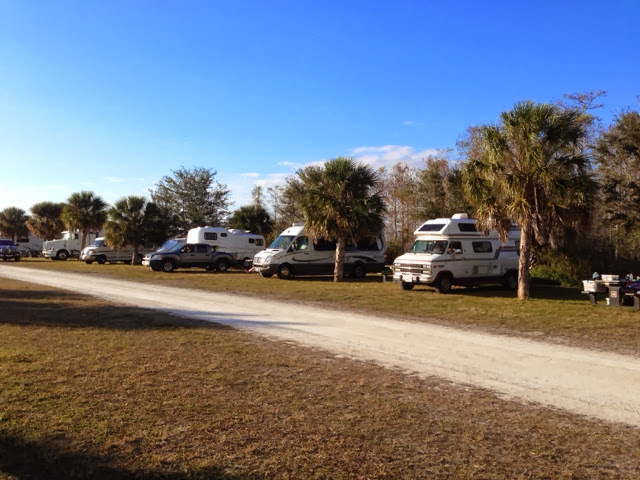 Their campground was booked but said the next one towards Naples had openings. I left the park attraction and headed west and pulled in at Monument Campground. I met the host volunteer and he said it was $28 per night but with the senior card it would be $14. That's a deal so I made my home for the night. 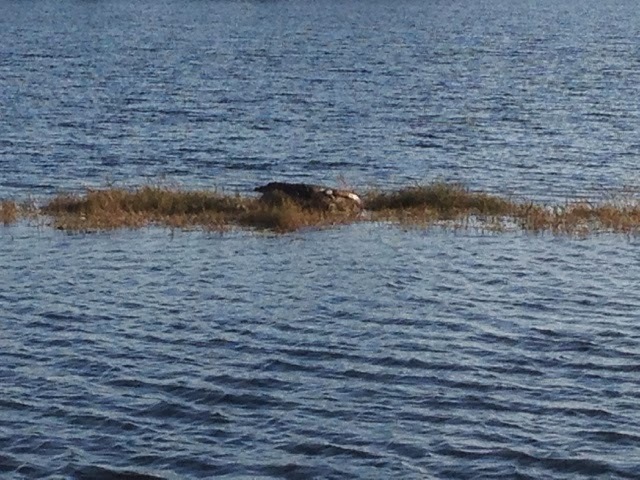 Across from my site is Monument Lake and sitting out there all afternoon is an alligator. My day ended earlier than usual so it gave me some time to organize the camper a bit. More is needed but it gave me a good jump on it. The rest will wait for my return to Leesburg on Tuesday. The camper van is beginning to feel a bit more like home. While in Miami I stopped at Walmart for some groceries for my cooler. Eventually I will show you my high tec cooler that was not cheep. I am still pondering filling the water tank for running water considering going to Atlanta and Texas where the temps have been below freezing only to have to drain the water system again. For now I am using a 5 gallon plastic jug and using the gray water system only as this is easy to address if it goes below freezing.